Drones CAN'T deliver goods ... oh. Air traffic control system backed by NASA, you say? Recently we wrote about how developing city delivery drones was a fool's errand. 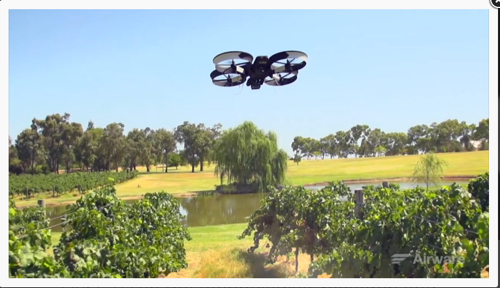 Yet Startup Airwave is working with NASA to develop an air traffic control system for drones. Who’s foolish now? Airware was founded in May 2001 by Jonathan Downey, an electrical engineering and computer science graduate from MIT, and is based in San Francisco. He worked at Boeing on a fully-autonomous helicopter, the A160T Hummingbird and founded Airware to sort out the disadvantages of expensive and inflexible autopilot black boxes. Commercial drones represent a revolution in insights – access to information that would otherwise be too difficult, dangerous, expensive, or downright impossible to get. $25m in a B-round in July 2014. Beta testing is ongoing, with a wide range of drone environments, from remote, hard-to-reach locations, surveying mining and agriculture operations to wild life conservation. 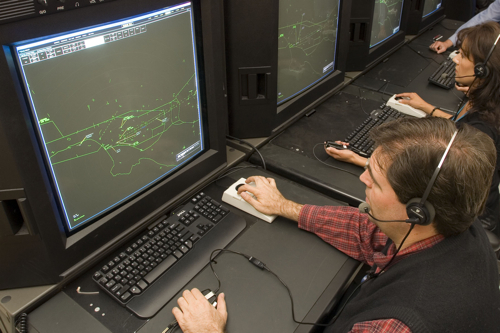 GigaOm reports NASA is working with Airwave on a drone air traffic control system. The two will test 4D trajectory modelling, collision avoidance and spacing between aircraft so that drones could safely fly in congested environments. Human involvement will be required in the early stages but a fully automatic system is the goal. They envisage development taking four to five years, at which point commercial drone flights could be legalised in the USA. The drone's aerial environment is 3D-mapped to a high degree of granularity: similar, perhaps to the roads mapped by Google's self-driving cars. Every flying vehicle in that environment is controlled by the system. That's the only way possible, we think, to rule out controlled vehicles crashing into un-controlled ones. Who does the low-altitude environment mapping is not something that's been addressed, and neither is the advisability of having a totally controlled airspace for drone operations. We've asked Airwave about the mapping and Kallman said; "Yes, eventually. But those types of operations are still a ways away." Why NASA? It has an Aviation Systems Division which maintains an air traffic control lab. In the aeroboffins' own words: "The ATC Lab uses a NASA-developed target generator, which allows it to function either as a control facility or simply as a traffic generator. The target generator provides high-fidelity, site-specific radar video mapping, as well as accurate flight dynamics and piloting systems that effectively recreate both real and proposed flight operations within any airspace worldwide."